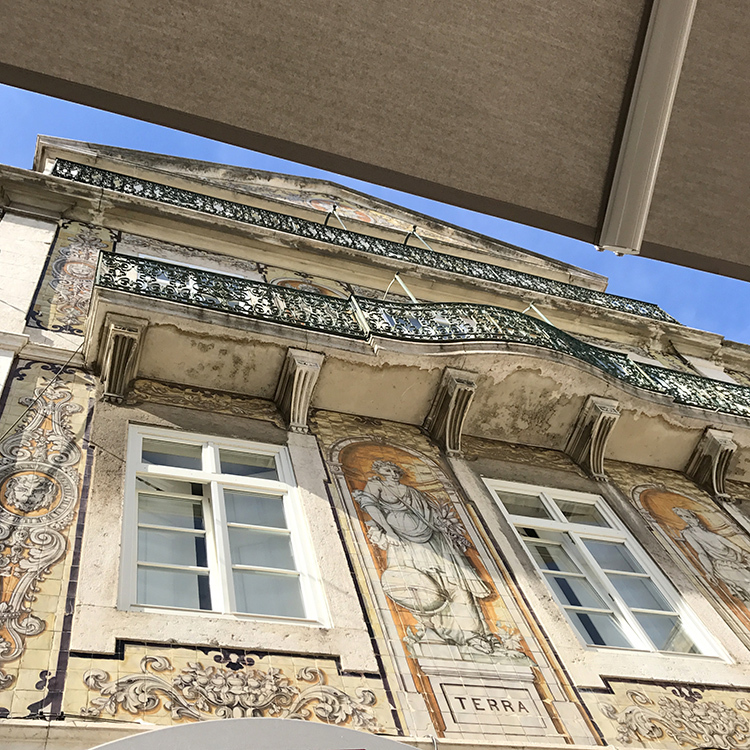 When we first arrived in Lisbon from our chilled out few days in compact, fun Porto – we were a bit taken aback by the bustle, speed and size of this sprawling city! 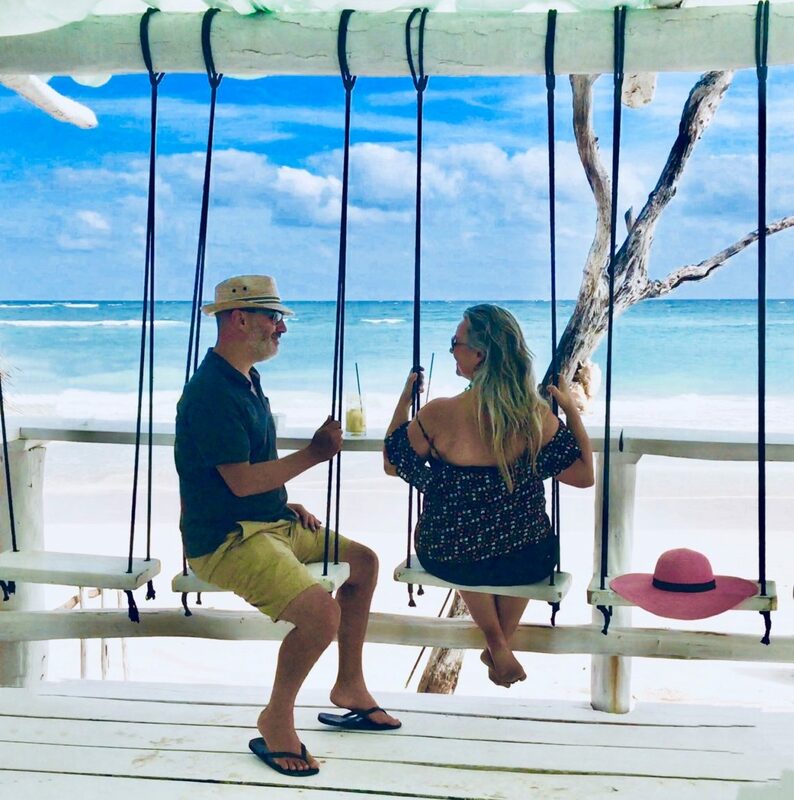 We weren’t actually sure whether we’d settle and enjoy it but this wonderful place won us over soon enough! As you walk around and get orientated it’s easy to see the attraction of this city as it is vibrant with life, colour, warmth and of course great food! 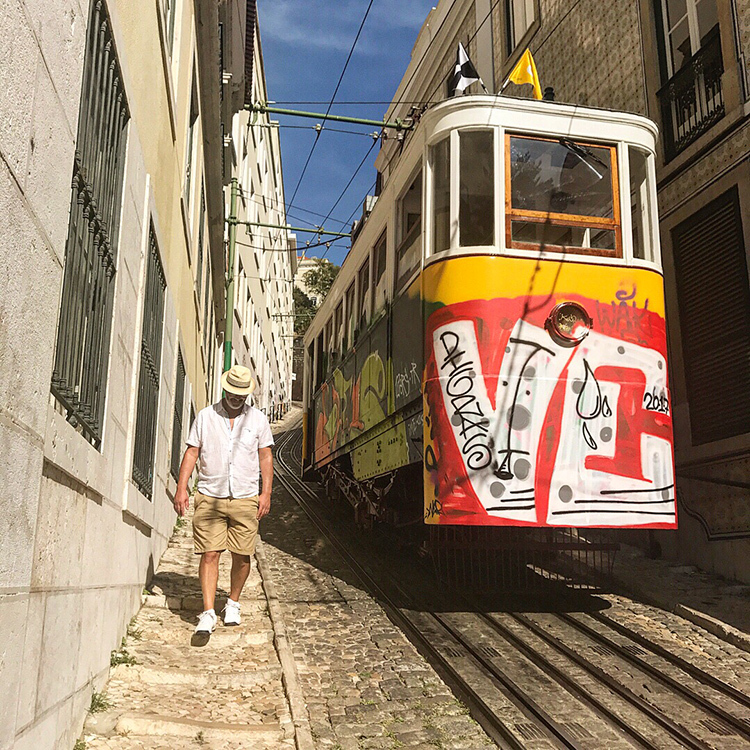 We are never that interested in the roads of high street shopping so we were straight up the steep incline to Sao Jorge Castle on a rattling tram – a must do experience but not necessarily a comfortable one – to see the panoramic views from many a perfectly situated terrace up top as the city is cradled by seven soaring hillsides! The views are spectacular and the lovely pastel shades of many of the buildings worked wonderfully with the blue sky and odd palm tree about! It was the perfect solution to tram up and then slowly walk and meander back down at your leisure – through cobbled narrow streets trying to miss the tuk tuks that are trying to miss the trams that are trying to miss the taxis – it’s a battle of wills and a very amusing watch and follow as you walk along side it all! 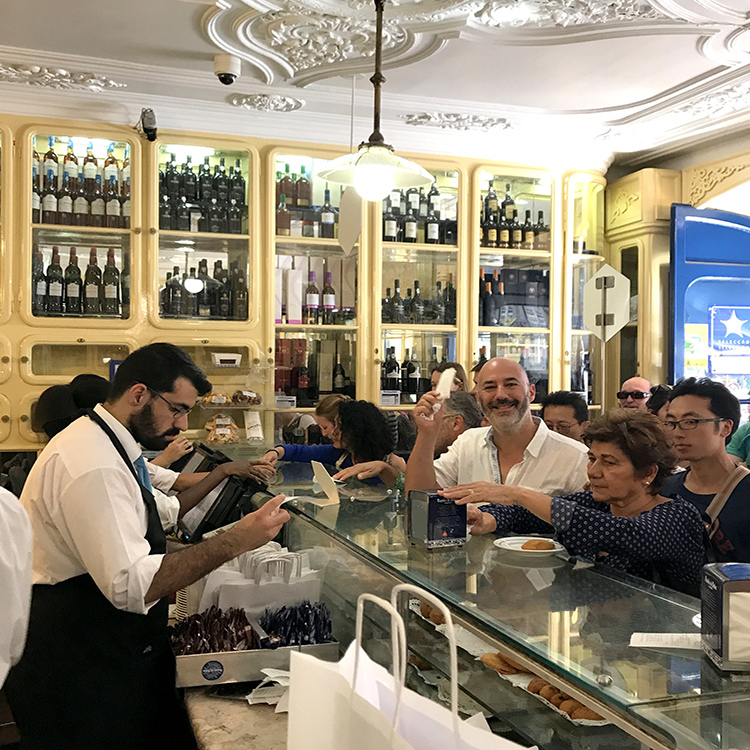 Obviously the Tapas has to be sampled and tasted at any one of the hundreds of outlets, stalls, restaurants and bars throughout but there is also the famous ‘custard tarts’ that are not to be missed and there is apparently only one place that serve the best ones @ Pasteis de Belem. So we queued, we ordered, we waited, we devoured !! Needless to say they were worth the wait – delicious! 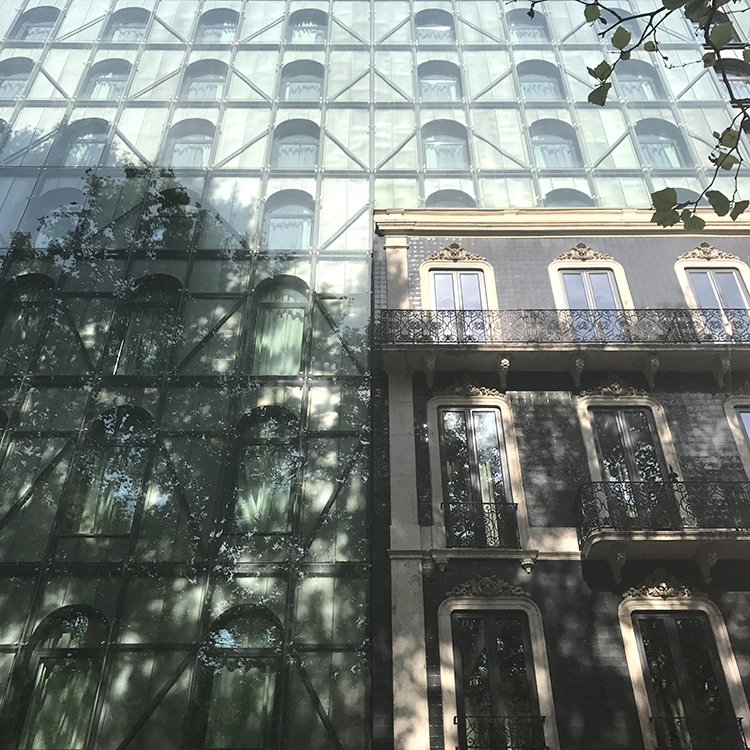 There is a really great mix of very beautiful, ornate and traditional architecture alongside the modern minimal look that seem to have blended so well here! 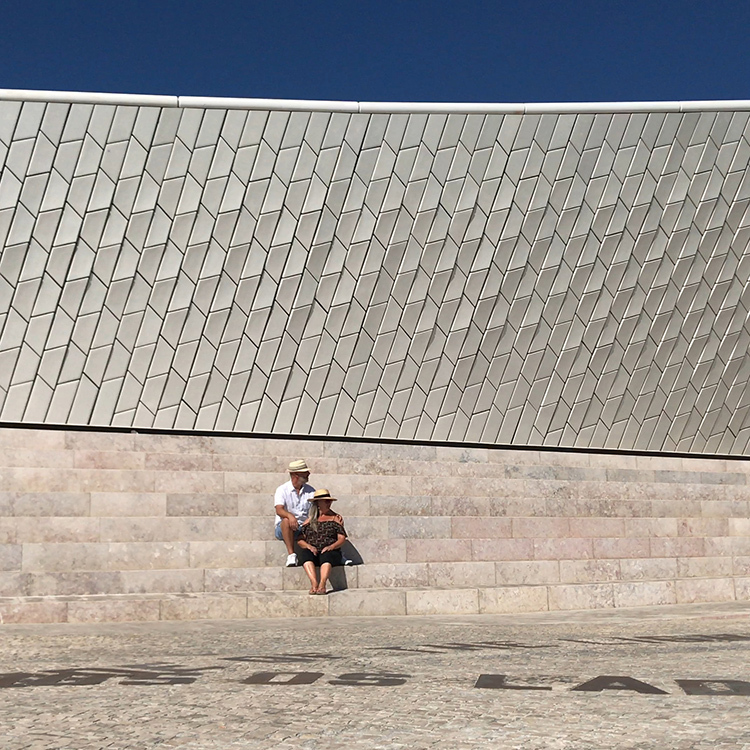 In fact everywhere seemed stylish, clean, well planned and enjoyed by all – locals and tourists alike! If the mad rush of the centre of the city gets a bit much you can easily take yourself off to the waterfront which was a lot gentler and calmer with a real open feel and a different atmosphere about it too. 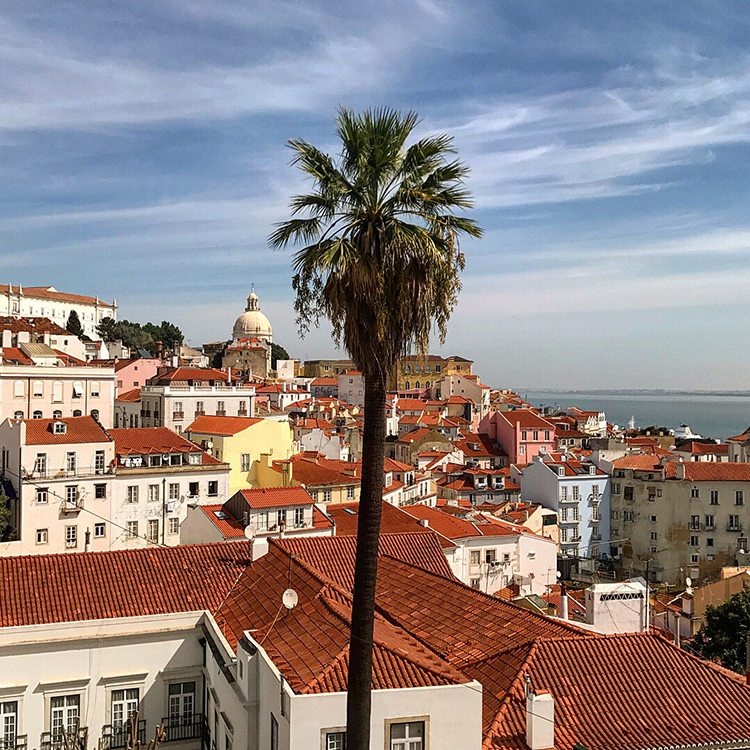 The walk along the wide expanses, open squares, manicured gardens and pristine promenade was delightful with plenty to see and discover en route! 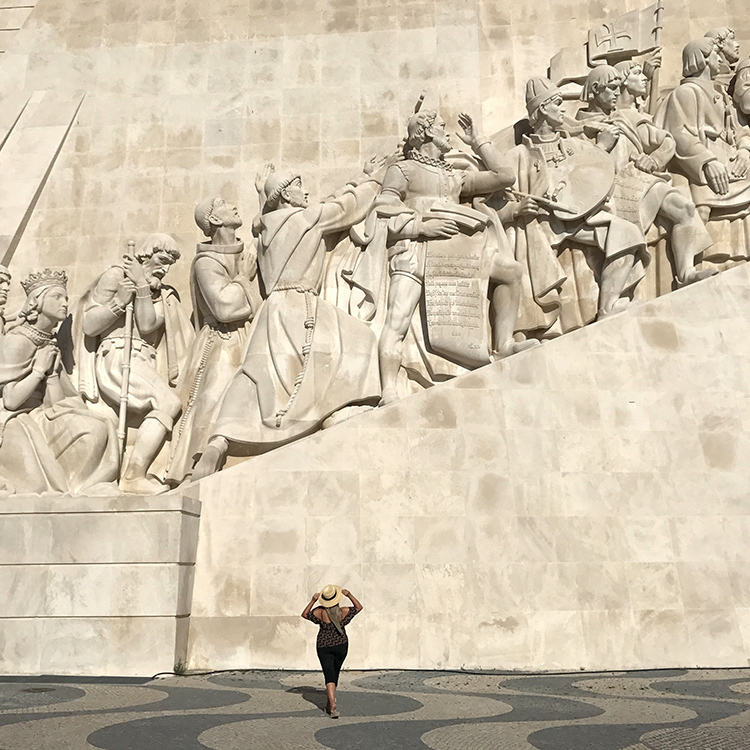 For example the wonderful maritime monument Padrao dos descobrimentos which looms hugely over you with incredible impact, detail and beauty. And onwards you will come across a building that is the complete opposite with it’s sleek, white and minimalist form the very impressive MAAT … the Museum of Art, Architecture and Technology. 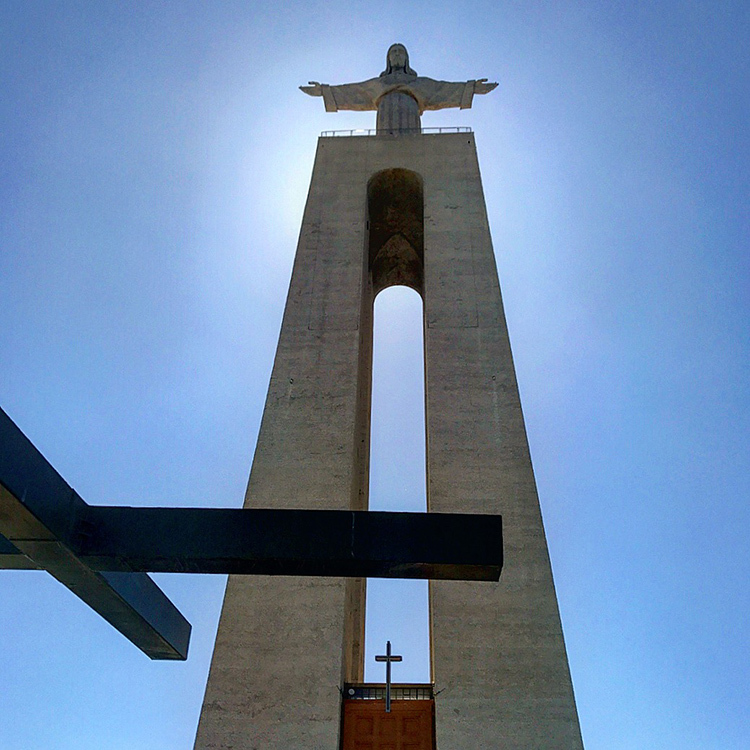 Across the water to Almada on a very quick ferry ride and then a well organised and frequently running bus shuttle you can visit the majestic and quite frankly the highlight of our trip – Cristo Rei, The Sanctuary of Christ the King. 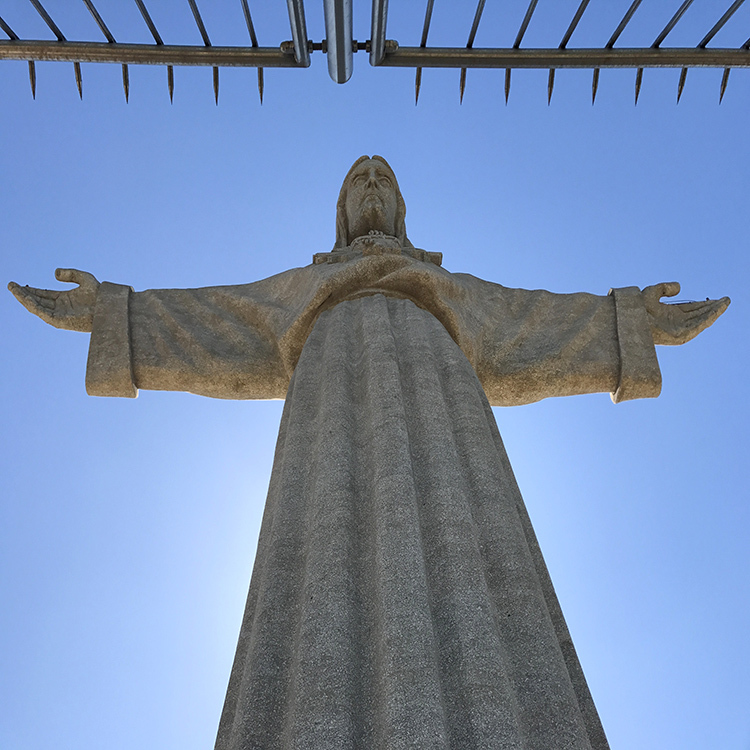 Not for religious reasons did we enjoy this visit, it is just an incredible sight to behold and that isn’t just the Cristo Rei statue itself but the amazing views back over the estuary to Lisbon spread out before you. There is also the huge suspension bridge, The 25 de Abril Bridge, that is the spitting image of the San Francisco Bridge as it was built by the same American company! 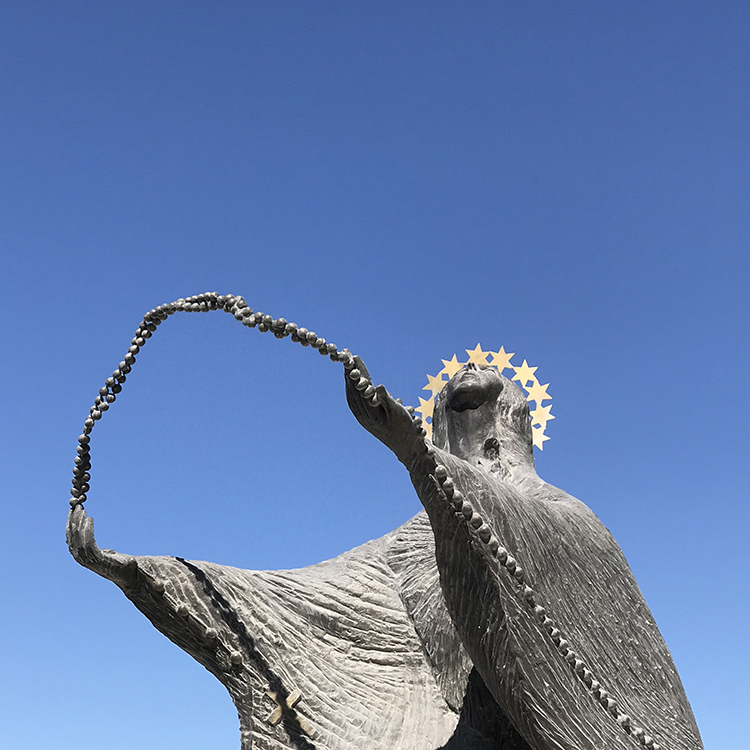 And if you’ve made the journey this far then it is well worth that last glorious lift ride up to the top and out on to the viewing deck to the feet of the statue itself! What a 360 view and what an experience to get up close to the detail and scale of this beautiful work of art! 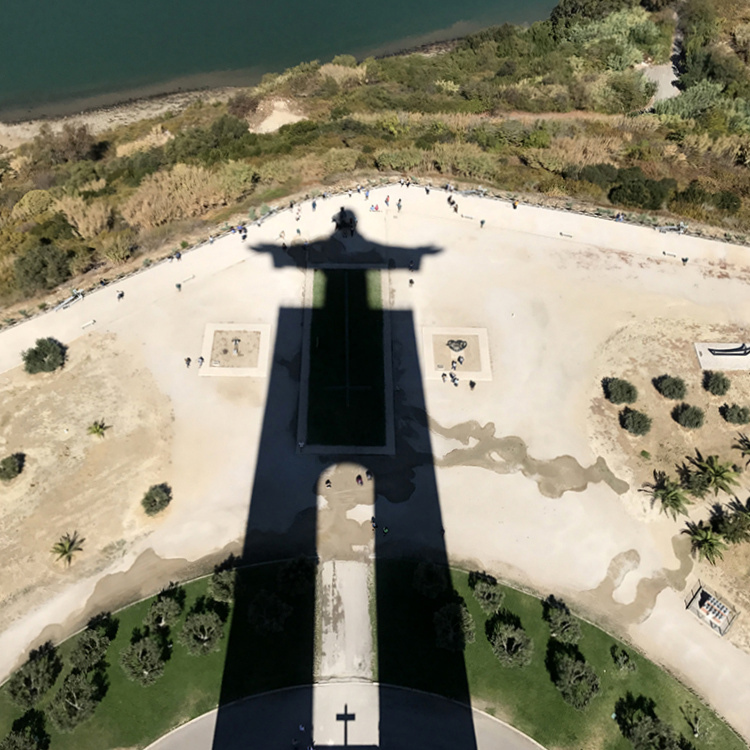 To say we felt blessed when we looked out and over the edge of the viewing platform to find that the sun had come out and was highlighting the perfect shadow below – we couldn’t believe our luck! Such a perfect moment to capture and a memory we will keep for a long time. 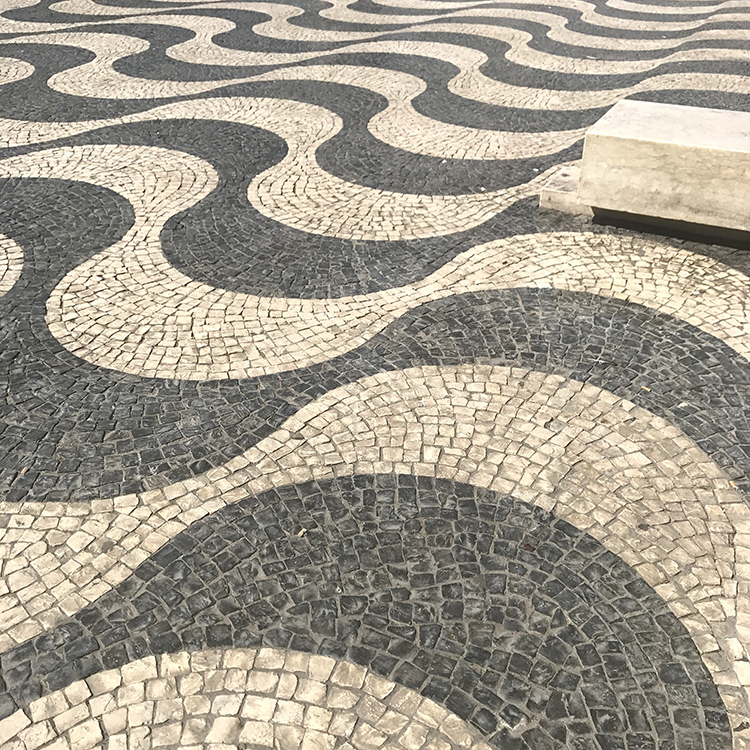 If Lisbon hasn’t been on your radar before as a city break then definitely have a rethink as there is so much to love, enjoy, marvel at and see in this very lively and colourful place!